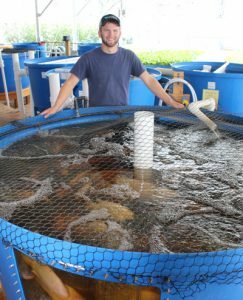 Aquaponics Success Package from Nelson and Pade provides support and training for new aquaponic growers. Nelson and Pade, Inc.® offer the Aquaponics Success Package to all customers who purchase our Clear Flow Aquaponic Systems®. 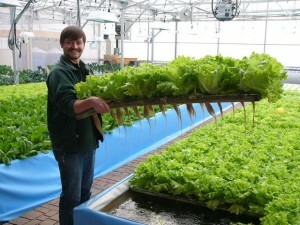 The Aquaponics Success Package consists of the three most important services we offer to a new grower. Our Clear Flow Aquaponic Systems® give you a proven system design that maximizes crop production in an efficient and sustainable way. The Aquaponics Success Package provides you the training, technical support and guidance you need to be successful long term. Our Clear Flow Aquaponic Systems® require assembly and come with detailed assembly manuals and well-labeled components. Our Assembly Guidance service provides you direct access to our technicians via email and phone to assist in inventorying and identifying parts, component layout, assembly techniques and to answer questions about the assembly and operation of the system. There is great value in this service in getting the system set up and assembled correctly. The Aquaponics Success Package brings these three services together, for one discounted price. The Aquaponics Success Package price is included on all Clear Flow Aquaponic System® Order Forms.